Adapting to changes in our climate involves research and informed, sustainable plans for the future. Community involvement is critical. Climate change has a knock on effect on so many areas of foreshore development and urban planning and design. Many of the old ways of running and building things are no longer workable in the face of climate change. Council will be working over the coming 12 months to develop and integrate policies and strategies that address climate change adaptation and community resilience. Council is also working with peak bodies to develop new frameworks to build resilience into infrastructure assets. 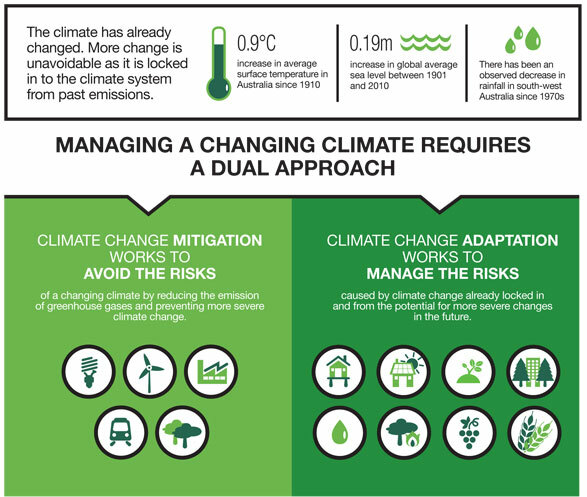 Data from website: Australian Government Department of the Environment and Energy – National Climate Resilience and Adaptation Strategy.